Have you been flicking through the home improvement and lifestyle magazines lately, and noticed that all the beautiful homes have one thing in common? 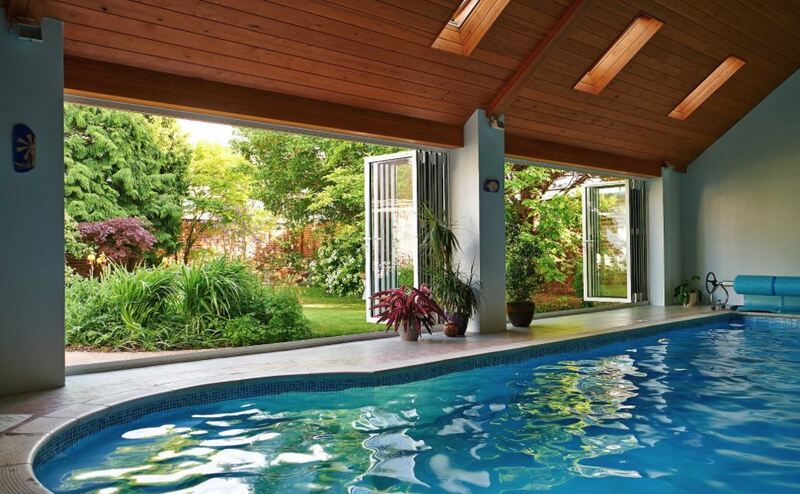 Bifold doors are the sought-after feature for glossy-mag worthy homes in Sussex, in particular places such as Crawley. 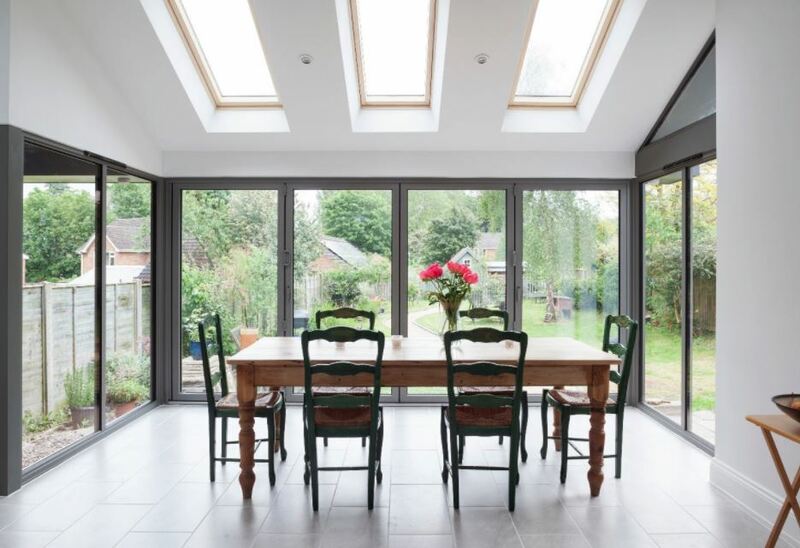 We’ve found that a lot of the homes we work on in Crawley want doors that add light and space to their home, and bifold doors are an excellent choice for doing this. Bifold doors work with multiple glass panes that make up a large glazed area, and they open by folding away in a concertina style. We have two ranges of aluminium bifold doors, aïr 800 bifold doors and Bowalker aluminium bifold doors. Both ranges can be designed to best suit the size and style of your project. With aïr bifold doors, each pane can be made up to 1200mm wide and 3000mm tall, with a maximum of 10 panes. 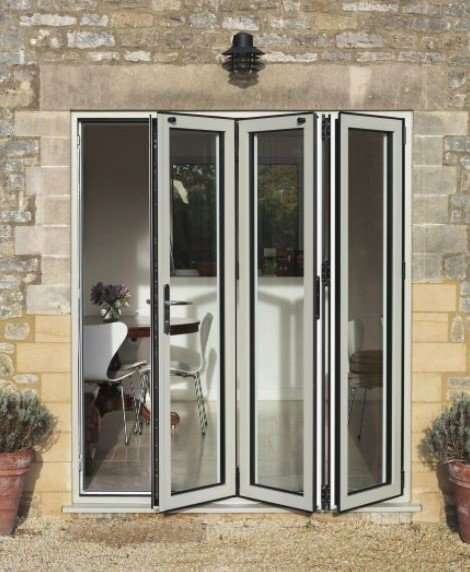 Bowalker aluminium bifold doors can be up to 1000mm wide by 2700mm tall with a maximum of 6 panes. This allows for optimum levels of light and space. Even when choosing the smallest configuration for bifold doors, you’re still left with a large glass door that sunlight can beam into your home through. However, you could have bifold doors installed that span across your entire external wall facing onto the garden for the most impressive amount of light. Alternatively, we’ve recently installed multiple bifold doors in Crawley on both external walls of a property. This will allow for natural daylight to enter your home 365 days a year, making your space brighter and more inviting. 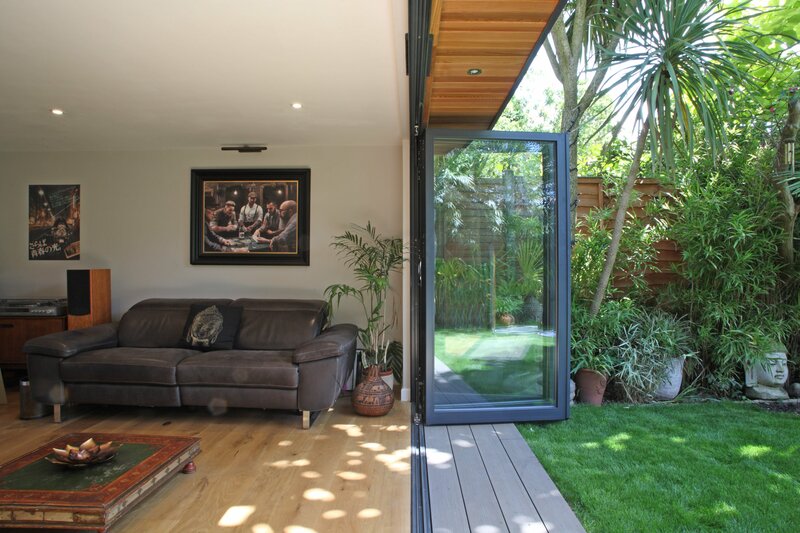 A top tip we have is choosing dual colour bifold doors, which have different colour frames internally and externally. Choosing white on the inside will give you an even brighter interior. The concertina style opening of bifold doors combined with the big dimensions and pane options available with our range means that your home will completely open up onto the garden. The glass panels will fold away neatly, leaving you with an open wall that seamlessly blends your indoors and outdoors. This will make your home more open plan, and creates extra space for you to use. When open, you can use your garden as an extension of your living area or kitchen/dining room, perfect for entertaining as well giving you easy access to enjoy quality time with your family outdoors. When closed, the glass still gives your home the impression of extended space, with no walls to close off the room, opening up your home in stunning style. 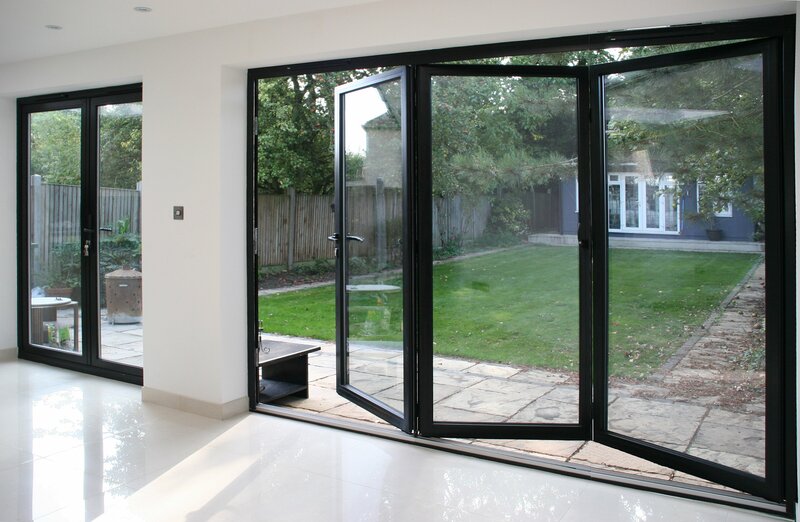 We know how important it is to have bifold doors in Crawley that are safe and secure too, which is why both our bifold door options have high-quality multipoint locking. aïr 800 bifold doors even feature the Sold-Secure diamond-tested Ultion Lock that enters lockdown mode if an attack is detected. We know that it’s not just all about the size of the glass, the colour is really important too. That’s why we offer both of our bifold door ranges in any RAL colour. That way, you can colour match with your windows or the colour scheme of your living space, or make an eye-catching contrast. 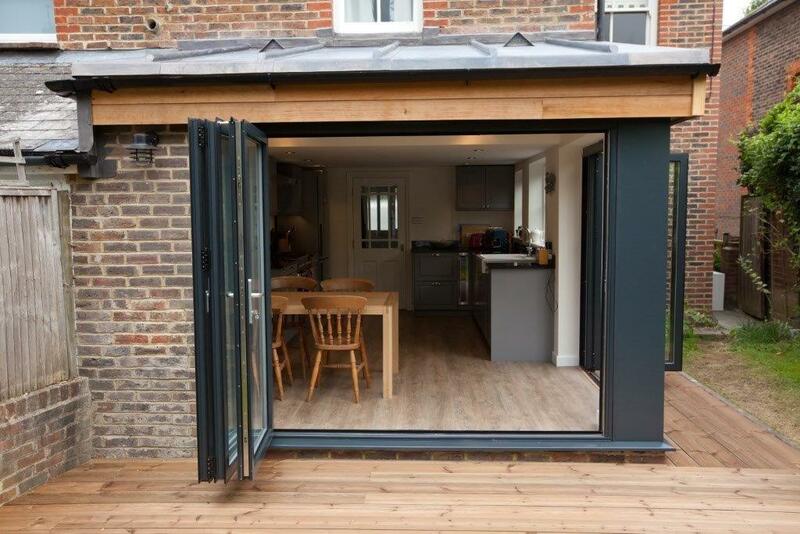 A lot of the bifold doors in Crawley that we install are in the top home improvement colour of our time, Anthracite Grey, but we can work with you to help you choose what would best suit your project. Here at Bowalker Doors, we’re the experts in architectural aluminium glazing that adds light and space. You can talk to our experienced team and we will offer our expert advice on what would work best for you. You can come into our showroom in Hickstead, Haywards Heath with your plans and ideas, and you can even bring your architect too. We also have our aluminium bifold doors on display in our showroom so you can imagine what the doors would look like in your home. Alternatively, you can call us on 01444 810111, fill in a contact form, or email us on info@bowalkerwindows.co.uk. Uploading your plans to our website will also help too. Don’t forget to like our Facebook page for inspiration and to see how we’ve added light and space to homes across Sussex with our aluminium bifold doors.